There's something about animal print shoes that makes a girl go crazy in love. And these Two Lips zebra pumps will do just that! I love the black and white print and how it's pretty subtle at the same time. You can pretty much match it with anything. I also just received this Trixxi Girl top and thought it would give the perfect pop of color with my (almost) all black and white look. Wore this outfit for a beauty class at Butterfli Me Makeup Studio in Irvine where we got to learn a couple summer vacation makeup tips and tested them out on our own face (thanks Janae for the experience!). Pretty cool cause I got to try BB cream for the first time and I like it! 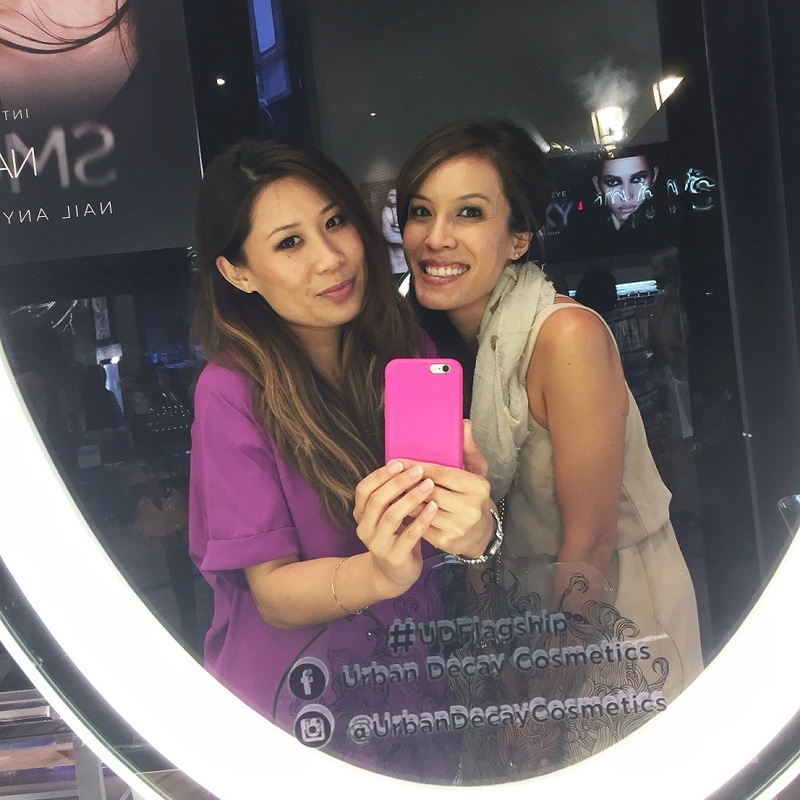 Then I went to happy hour at Fleming's at Fashion Island with my friend Tanya before we headed out to Urban Decay's event featuring their new smokey naked palette. It was most definitely a fun filled night! What are your favorite animal print shoes?